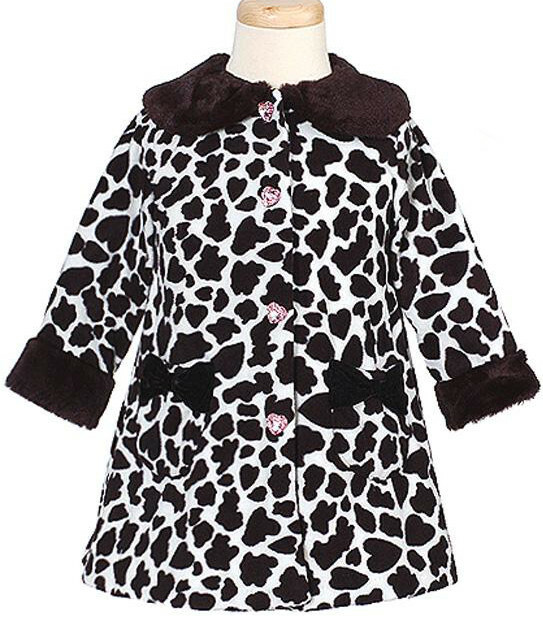 Precious black and white fleece coat features stylish black and white cow print fleece coat with velcro closures and pink clear stone heart shaped buttons. Rounded collar, Machine wash cold. Hang dry.